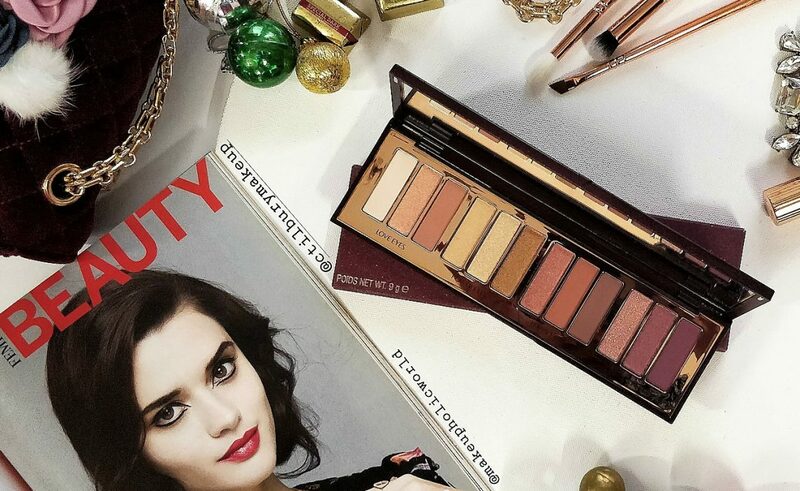 Charlotte Tilbury Stars In Your Eyes palette is the new, LIMITED EDITION palette from the brand featuring four color-curated looks with prime, enhance and smoke shades. I love Charlotte Tilbury products. 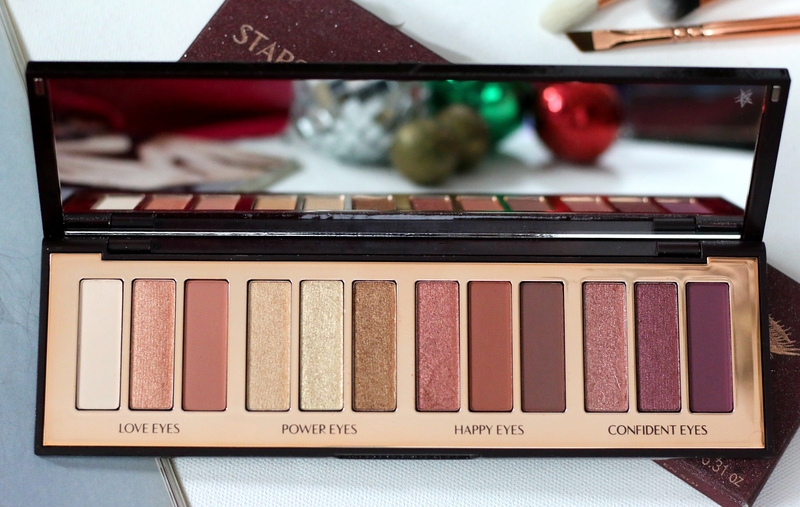 This is one of the beautiful warm palettes I’ve tried. 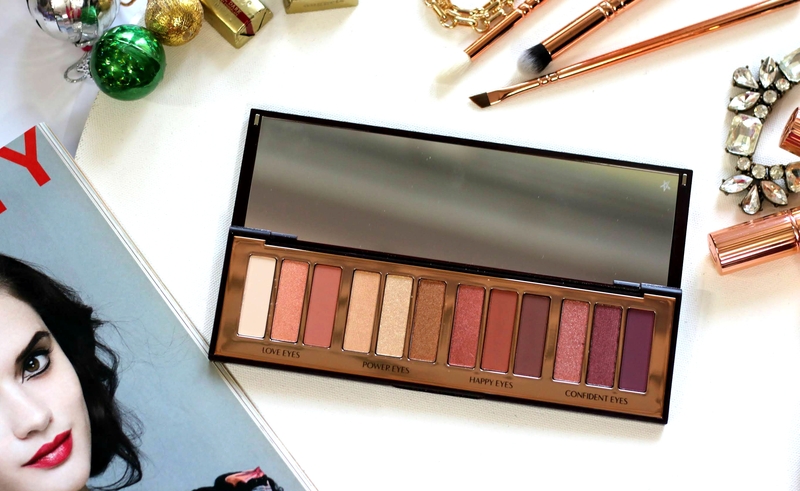 There’s this Warm/rose toned eyeshadow trend that’s going on and this palette is keeping with the trend with a mix of warm/rosey/plum toned shades! Uniting four colour-coded shade trios inspired by precious crystals – ‘Love Eyes’ a trio of rose quartz hues, ‘Power Eyes’ a trio of molten gold hues, ‘Happy Eyes’ a trio of amber hues and ‘Confident Eyes’ a trio of ruby topaz hues – this gemstone-inspired palette offers the most elegant, refined finishes you’re likely to lay those lucky eyes on. The matte shades give an understated, soft-focus finish, while the shimmering shades are dewy, glowing and delicately twinkling. 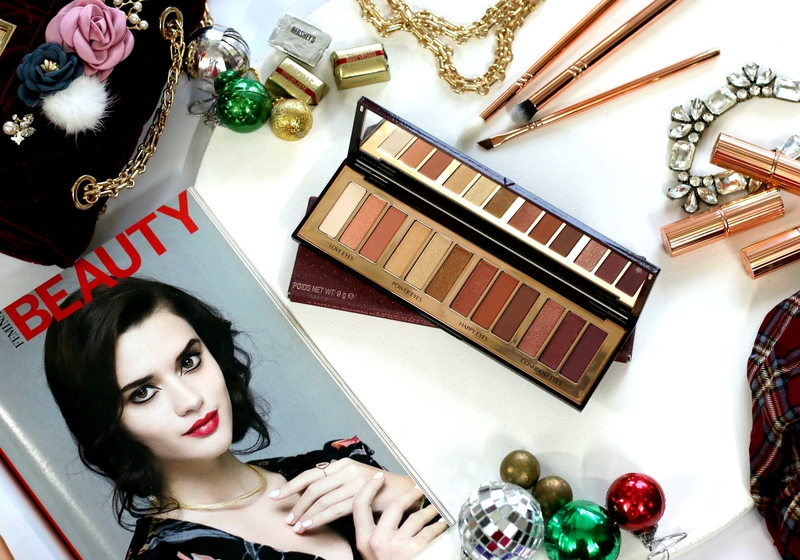 Curated and launched by world famous makeup artist, Charlotte Tilbury herself, it’s no wonder this palette got sold out almost instantly upon its release. According to the brand, this surprise palette would only be available until all quantities sell — and as of now, there really is no update regarding a possible restock. I am so lucky to be gifted this iconic palette. Shades in this palette are divided into 4 groups of three shadows each. The three shadows makes way easier to create that stunning eye look using the brand’s “prime, enhance, and smoke” routine. Essentially, this involves priming your eye area with the first shade, enhancing your eye by applying the second shade directly over your lid, and smoking out your eye look by packing the final shade along your lash line. There’s no hard and fast rule as in how to apply each shade. Of-Course you’re free to mix and match shades and use. Packaging is good. The glossy and glittery burgundy compact and a sparkly matte outer box. Very well photographed. 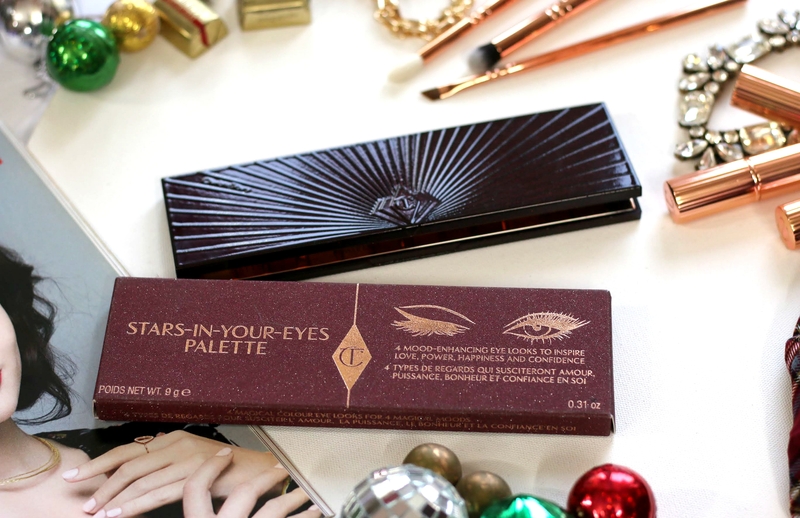 Nice ultra sparkly outer box and the palette with deep burgundy sparkles on palette’s hard-casing. Inside of the palette, it has a big mirror. This palette has a magnetic fastening closure, that is different from her quads. Inside the palette – The shade selection is gorgeous. Love the variety and also the way they have been stacked. A good mix of matte and shimmery shades. 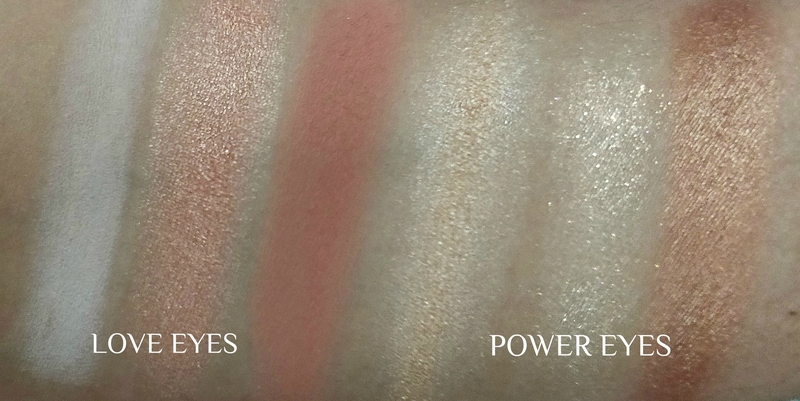 Pigmentation – The color pay-off is excellent. I love how gorgeous these apply on my eyelids. No fallouts too. 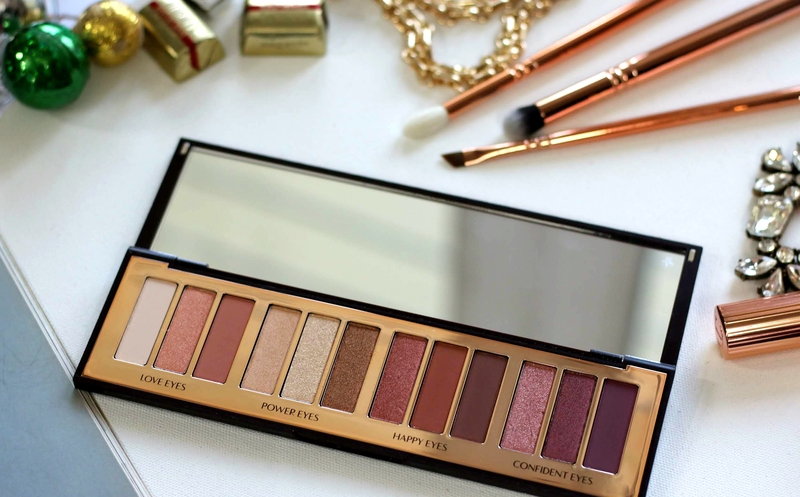 Shades & Formula – I really like the soft and beautiful texture of the colors in this palette. Shades feel buttery soft with excellent pigmentation. I haven’t experienced any fallout problem when using this palette. The formula is finely milled and long-lasting on the lids. Shades glide and blend effortlessly. The Power Look: 3 golden shades for a glimmering, molten, mezmeric eye look to take on the world. Be a star in the boardroom with these gilded hues. The Confidence Look: 3 topaz-ruby inspired shades symbolizing fire, heat and purity to empower the wearer with the bold burgundy hues. Apply this enchanting eye look and embrace your wildest dreams! I am so impressed by the lasting power of the shades. It stays for more than 8+ hours without creasing or fading. 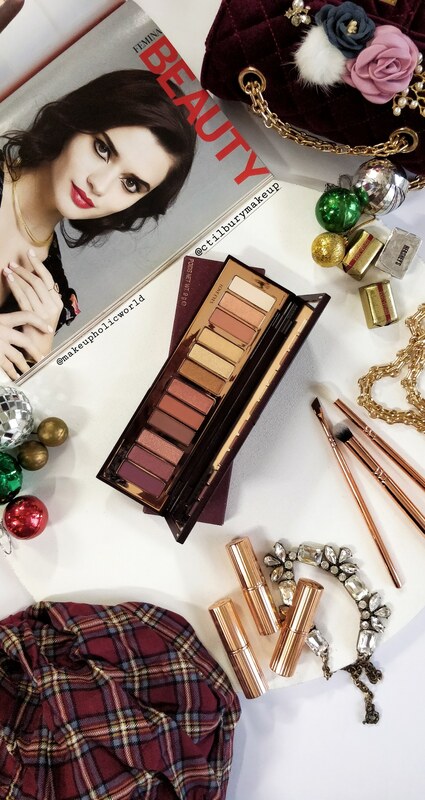 Overall, Charlotte Tilbury STARS IN YOUR EYES palette is a beautiful eye palette that features warm bronze shades as well as plum mauve shades. These shades would compliment any skin tone regardless of the age group. Shades are beautifully paired together and the shades feel burrer soft, easy to blend and apply, no fallout, no creasing, excellent staying power etc. You can mix and match the shades to create a variety of day as well as night looks. I had no plan to buy this palette considering its luxury price tag. I am glad I got sent one for review 🙂 Charlotte Tilbury is a luxury brand I think it’s a great value for money considering the price of CT’s quads. This would certainly be a fabulous Christmas gift for yourself or your friend. Wow it has warm as well as cool shades. Beautiful!!! Omg.. The shades are to die for… Such amazing finish to the shades they have given.. 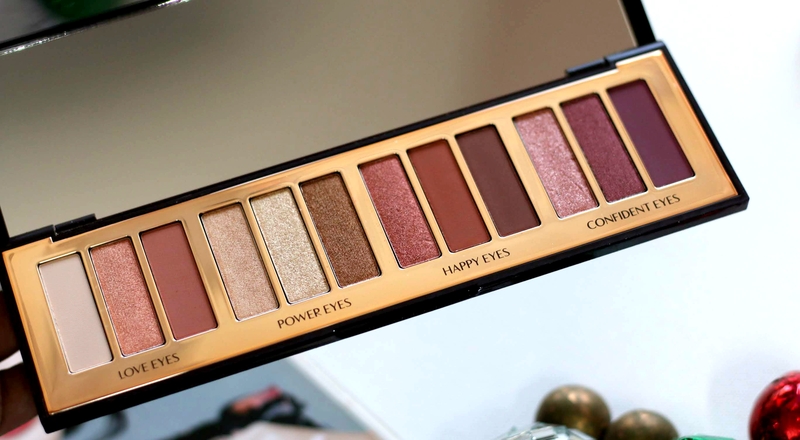 It would be a lot of fun experimenting with these..
Wow what a beautiful palette. 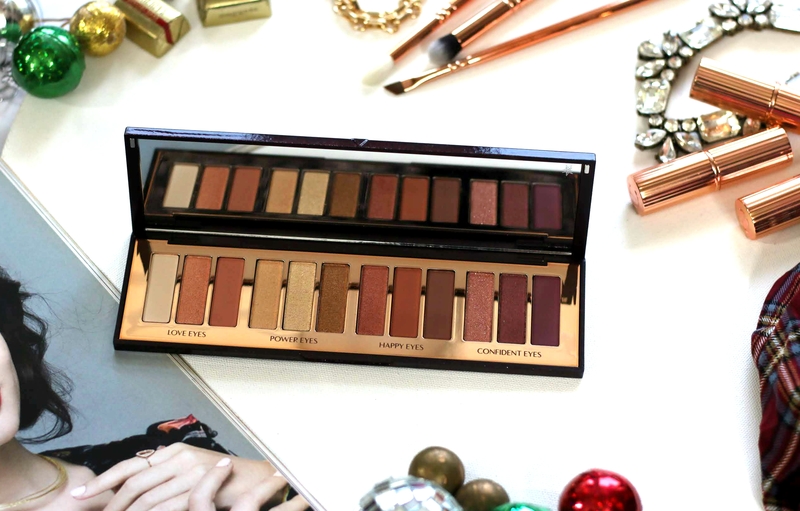 All the shades are wearable and perfect for festive season.